If you’ve never tried Paterson Chiropractic Care before, you’re probably anxious about how it’s going to feel. Would it be uncomfortable? Painful? Or excruciating? These are some of the most common concerns a lot of people have because they associate a spinal adjustment with traditional techniques that involves ‘cracking’ up the joints. Although we utilize old-fashioned techniques, this is completely optional and according to the preference of the patient. We’re proud to say that we have pain-free techniques that would improve your spinal health and reduce nervous system interference. Watch Dr. Echols, a Chiropractor at Austin Chiropractic Care in Austin, Texas, demonstrate and discuss why people are afraid of chiropractic. Dr. Echols also gives a person their first neck and back adjustment. This is a neck and back adjustment demonstration. Chiropractic adjustments for the back and neck correct problems with back pain, tight muscles, subluxations and misalignments. So as for the aftercare, if you’re worried that it’s going to be painful, what we can tell you is that, the healing process varies from one person to another. That means there’s no foolproof way to know how you’re going to feel and respond to the treatment. However, we can guarantee that we’ll do everything to ensure that you stay comfortable all throughout the treatment. The healing effects you’re going to experience after would also make you feel that you made the right choice. Your initial visit would be for a consultation. You’ll be asked about your medical history, current condition, injuries you’ve had in the past– this can be caused by vehicular accidents, sports, and other physically traumatic events that can all cause you to experience discomfort or pain. After that, you’ll go through a thorough examination and x-rays, if necessary, to determine what would be the best treatment or technique for you. On your second visit, your chiropractor would explain what’s going on in your body, and the recommended treatment. Then, you’ll receive your first adjustment after this. We always suggest to our patients that they do some research first, and try to familiarize themselves with the most common chiropractic care and what to expect. There are a lot of causes behind the misplaced and misaligned spine– these can be stuck joints better known as subluxations that usually happen due to improper movement of spinal bones. If left untreated, it would definitely interfere with how the nerves send signals between the brain and body. This could also affect nearby nerves and cause other problems to your health. It could lead to back pain, neck pain, headache, and in some cases, stomach problems. Fortunately, with a chiropractic adjustment, it would improve motion and reduce the negative impact to the nervous system. As you understand how the adjustment works, you’ll be able to appreciate your chiropractic treatment even more. 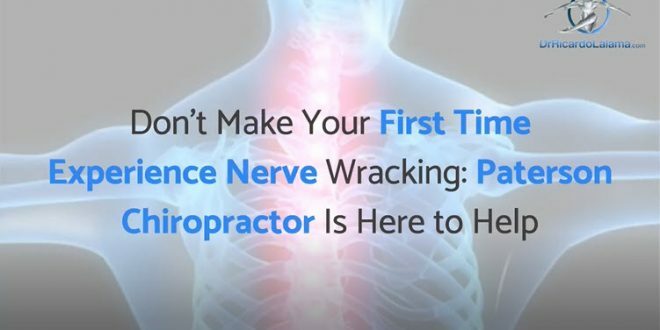 The reason chiropractic care is getting more and more popular is because those who have tried it feel instant results right after their first adjustment. Usually, those who experience this have spent years in misalignment and so, once their spine gets properly aligned, they experience instant relief. Though, just like what has been mentioned earlier, the response varies, but one thing is for sure, you’ll feel invigorated, full of energy, and relaxed. After a long time, you’ll finally want to go to sleep. However, for you to be able to enjoy long lasting results, it’s important to go back for several treatments. This would fully restore the alignment of your spine and ensure that you wouldn’t experience much pain anymore. There are situations where you’ll feel slight discomfort after treatment. The possible reason for this is that, your body has gotten used to the incorrect postures, and as it becomes properly aligned, it would give you an unusual feeling. Don’t worry, this would only last for a couple of days as your body would also adjust with your new posture during the recover period. Furthermore, another side effect would be retracing, but this is rarely a problem. This shouldn’t be taken negatively either, as it’s an indication that your body is undergoing deep healing. It usually happens a few hours after treatment, but doesn’t last for more than 24 hours. Some patients are lucky enough that they don’t even feel any changes after their first adjustment. This doesn’t mean that the treatment plan did not work, and you should just wait for a couple of days to notice the real outward effect. Also, do note that even though some patients feel changes after one treatment, not all have the same experience. That’s why it’s important to look for a reliable chiropractor in Paterson, NJ like Dr. Ricardo Lalama, D.C., who would guide you all throughout the process. Also, don’t be afraid to ask questions to your chiropractor, it’s one of the ways for you to get the best care possible. Now that you have an idea of what to expect, what are you waiting for? Set an appointment now by calling (862) 571-1792. We look forward to helping you heal! Now, if you, or anyone you know, have been involved in a recent car accident, click on the link below to receive my FREE Car Accident Report to Discover The SHOCKING TRUTH About Car Accident Injuries And What You Must Know If You’ve Been In An Auto Accident! Click Here To Get Your FREE Car Accident Report! Next: The Importance of Paterson Chiropractic Care for Car Accident Victims.